The native bee larvae are inside gestating. Once they are ready, they will crawl out into the world. 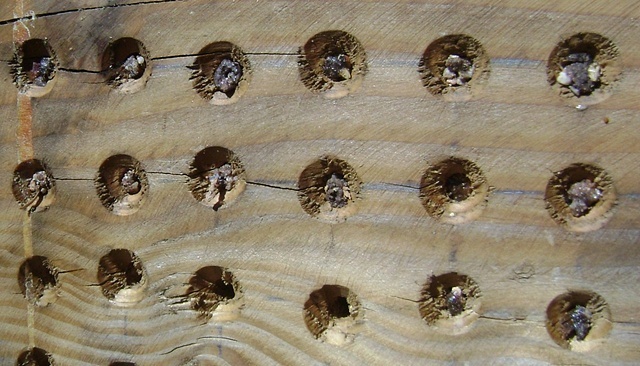 Many of these holes have pollen and nectar stored within for babies to feed on before emerging.